Born Pretty Store is getting out of control in the best way possible. Anything I need, I can get there! And I love that I get at least 10% off with every order just by entering this coupon code: C10X31. Today I tried half pearls for the first time. These 3D decorations are different than rhinestones. They're smoother, but they stick up about as far. The wheel I'm reviewing has five colors: white, baby pink, magenta, purple, and light blue. They all go so perfectly together, and I liked the gradient of colors. I matched up several polishes with the pearls' colors: Kieko (Zoya), Queenie in a Bottle (Sation), Gie Gie (Zoya), and Lady in White (Duri). I also added Electrical Storm (Sation) over my thumb and index finger to keep it shiny, just like the pearls. This manicure, though a little complicated looking, was really easy to achieve! I used the rhinestone picker from BPS to place each pearl. 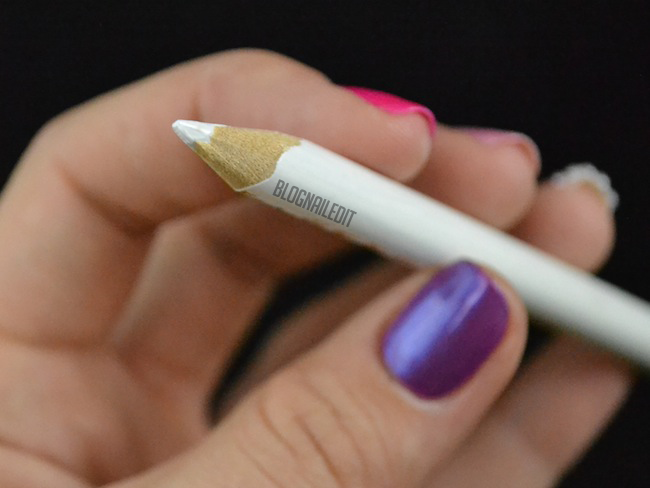 The rhinestone picker is a wax pencil that you sharpen like any other pencil or makeup pencil. The "lead" is actually wax, so it's slightly sticky. 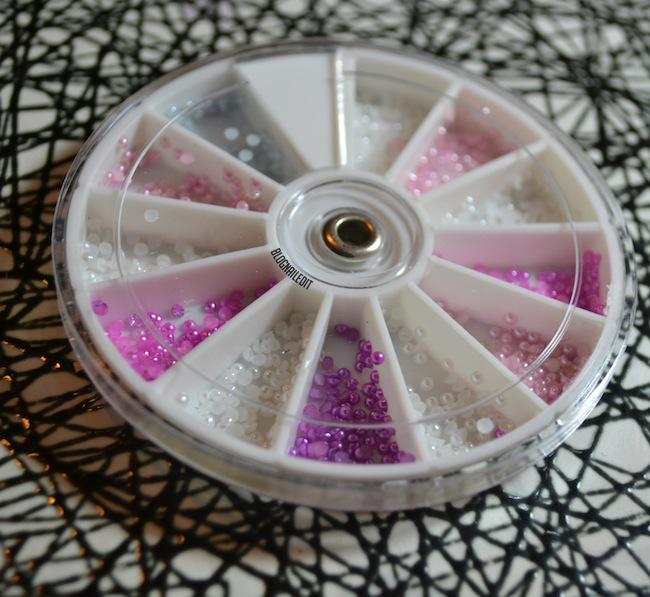 It makes picking rhinestones and 3D decorations impossibly easy and quick. I had to sharpen mine down to a ridiculous nub because apparently, it's got cat crack in it and it's irresistible to hungry felines. Jerks. Pick your pearl wheel here for $3.55 and your rhinestone picker here for $1.99, and don't forget to use the coupon code for 10% off. Yeah, great manicure with the different colors half pearls! I ♥ it! I just use a waxy white pencil (not used for anything else) for picking up decorations. If the pencil is a bit less waxy, a bit more pigmented, I just go for the wet cotton swab - works like a charm :) ! 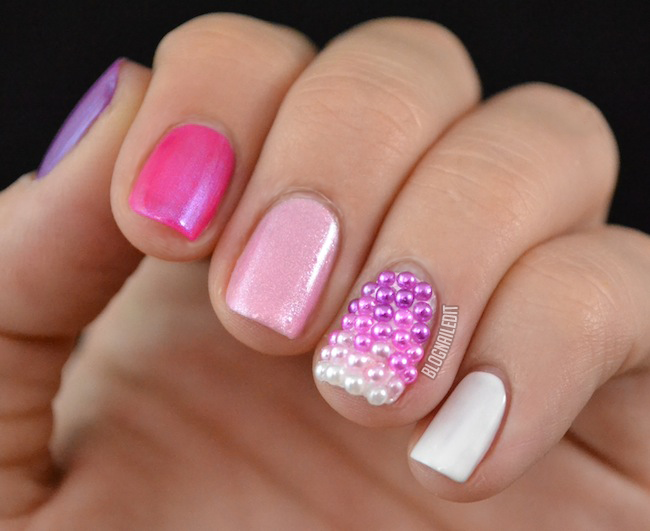 Love the pearls as a gradient! Haha cat crack, I hate it when that happens! I really love the wax pencils, they make life (err, nailart) so much easier!